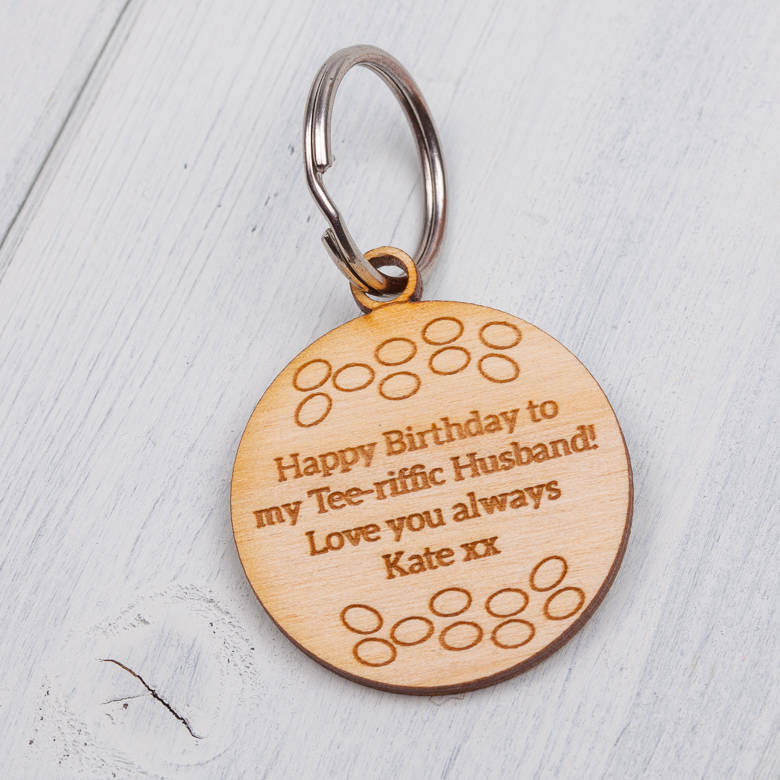 Personalised birchwood golf keyring that can be engraved with wording of your choice to create a special and unique gift for golf lovers. 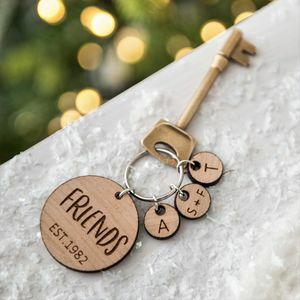 Our beautiful golf keyring is made from birch plywood and comes complete with a silver coloured split ring, ready to give as a gift and use. 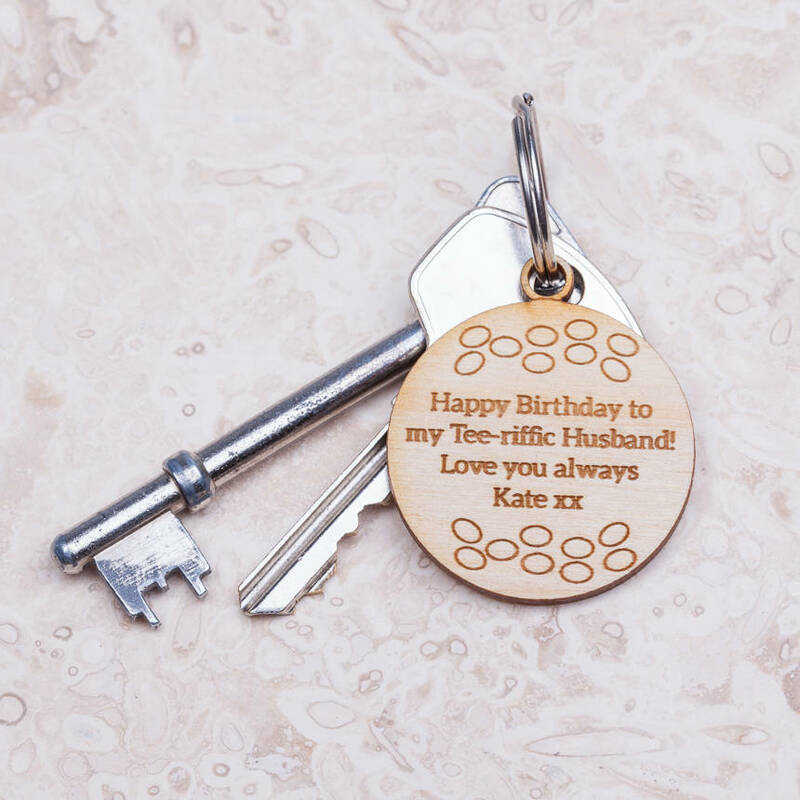 The lightness in colour of the wood makes a striking contrast against the colour of the engraving making an ideal gift for golf lovers. 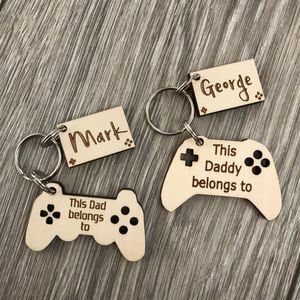 These personalised keyrings can be engraved with wording of your choice to create a really special and unique gift that will be a treasured keepsake for years to come! 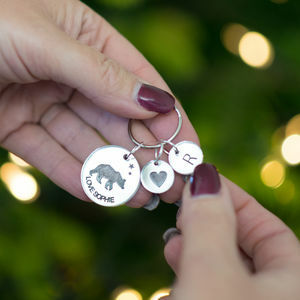 Personalised keyrings are a lovely way of reminding the recipient of just how much they are loved every time they pick up their keys and make perfect, unique gifts for a loved one on any occasion including fathers day, birthdays, an anniversary, Valentine's day or Christmas. This product is designed in the UK by British & Bespoke. Personalised keyrings, laser cut, personalised and engraved in the UK by British and Bespoke. 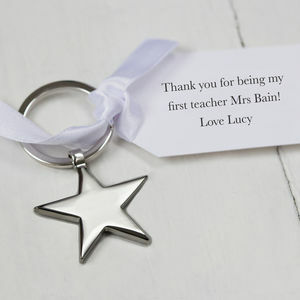 This product is dispatched to you by British and Bespoke.